Respect in the Cage MMA Fights | MMA Fighting Events Videos Techniques UFC Fight Picks and News. Los Angeles MMA fans, get ready for some live fight action coming your way on Saturday March 31st. Respect in the Cage is bringing you "Battle of the Undefeated" at the Fox Theatre in Pomona, California. In somewhat of a surprise move by Respect in the Cage, they're putting up two up coming undefeated MMA fighters in the main event. Pedro Munhoz will be facing Victor Henry. Pedro Munhoz is stepping into this Respect in the Cage MMA event sporting a 6-0 record. Munhoz has been dominant in his last two fights finishing them off with a guillotine submission choke and a rear naked submission choke. Victory Henry has only had to professional MMA fights, but has impressed with a TKO win and rear naked choke submission win, both at previous Respect in the Cage MMA events. Munhoz will be a step up in competition and his biggest challenge yet. Respect in the Cage "Battle of the Undefeated" will take place at the Fox Theatre in Pomona, located at 301 S. Garey Ave. Pomona, California 91766. You can get tickets at TicketFly. Tickets are $40, $60, $100, and $150. For more information visit www.RespectintheCage.com. 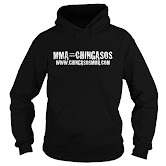 Stay tuned to www.ChingasosMMA.com for more info on Los Angeles MMA events, fighters, and gyms.